ESGI & FRIENDS BLOG HOP GIVEAWAY! Plus, every participant will receive a Free Downloadable Product from every blogger when you "LIKE" us on Facebook! Register for email updates with each blogger. "LIKE" each bloggers' Facebook page to receive free download. "FOLLOW" each bloggers' Pinterest page. Too many great kindergarten apps to count! WOuld love to try them all! I use a few iPads right now in the classroom in small group settings. It would be great to have a few more to incorporate more student learning. I know how important technology is for our little ones, but this old teacher is still using a flip phone and needs lots of practice on the school assigned Ipad. I do love my ESGI membership and know I'd see greater results if my littles were accessing more sites independently so if we had another Ipad, they could teach ME how to use it. Right now I have 14 iPads in a room with 20 children. with another iPad I would be one step closer to 1:1. With an iPad I could use it for ESGI assents, create even more center activities, more Popplets, more Discovery Education actives, more time on Rosetta Stone, more time on iCurio...just a lot more involvement! I would use the iPad for the students to create reading projects, practice math, Show Me how to use math skills and SO much more!! I would use the IPad to enhance my students learning at word work during daily 5. They can also use raz kids for listening to reading. Right now I have 2 dinasaur computers. It is funny and a sign of a need for updated technology when the kids are trying to use the screen as a touch screen and ask where are all the apps. I would use the Ipad for reading and math to help my students reach their grade level in reading. I would use the iPad for literacy and math center activities. MY students love the different learning apps! iPads are an awesome way to engage students who do not like pencil and paper activities!! iPads are always forgiving and do not judge!! I could really use a free year of ESGI. 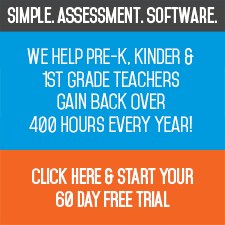 I am a new teacher and the two month trial I have is awesome! Also I can use another ipad in my classroom! ESGI is great! I am teaching a K/1 combo class with two iPads and I would love another one. Thank you for the opportunity!! I really, really need an iPad!!!! We started using ESGI a year ago and it has been such a blessing. It has helped us eliminate so much of our paperwork and allowed us to have a continuing record of the progress our students make. Love it. Using the iPad in my classroom would help us in testing students with ESGI as well as working with students on a variety of apps. This is a great way to differentiate instruction. I have one ipad at the moment- thank you ESGI at the IASCD kinder conference 2013! I would use the 2nd one to help with reading, fine motor skills and math skills, but most importantly I'd be able to use them both for ESGI in my classroom! The kids and I LOVE ESGI!!! I would use the iPad for small group centers!!! We use our iPads during our workshop time to support specific skills. I would so use this DAILY!!!!! The Ipad is a must for every teacher. I use it for many classroom housekeeping things. And not to mention testing my students using the ESGI software! Love using the ESGI software. It is a teachers must have to keep track of student achievement. Let me count the ways - the first one that comes to mind is to teach ten frames.